In this section you can Build a Custom Rule to link your content with Amazon Products. 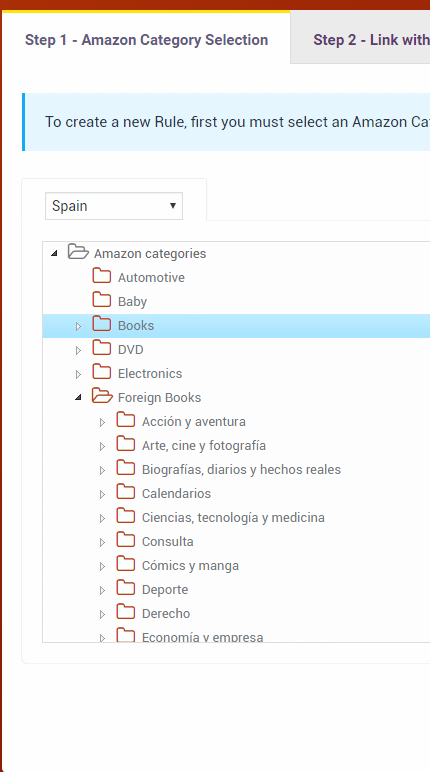 To create a new Rule, first you must select an Amazon Category that you wish to extract Related Products from. You can change the Amazon Location from the dropdown. 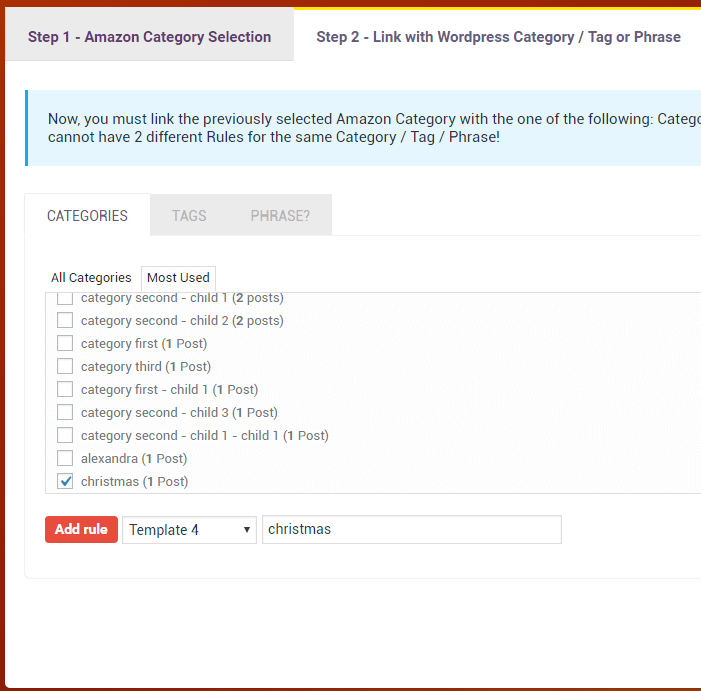 Now, you must link the previously selected Amazon Category with the one of the following: Category, posts/pages Tags, or post/page Titles containing a specific phrase. IMPORTANT! You cannot have 2 different Rules for the same Category / Tag / Phrase! Here are the Rule types you Created. 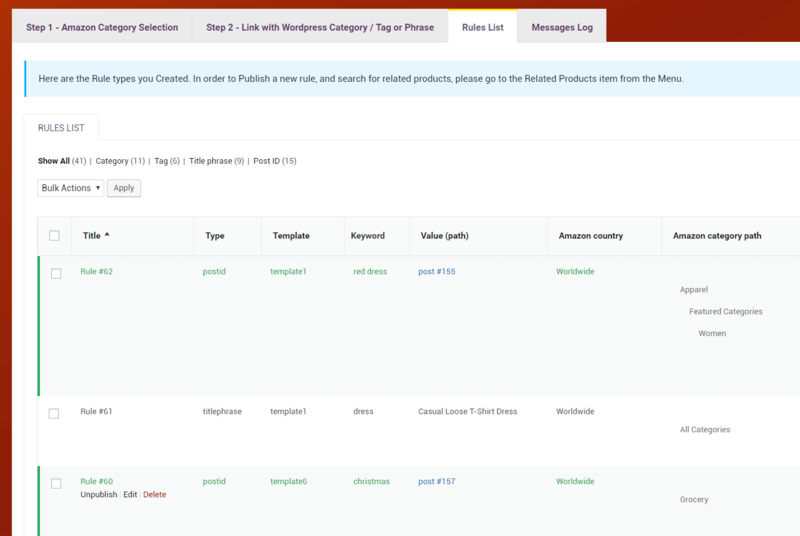 In order to Publish a new rule, and search for related products, please go to the Related Products item from the Menu.